The westernmost end of West Vancouver. Lighthouse Park and Pt. Atkinson are in front. The Trans-Canada Highway snakes across the face of Hollyburn Mountain, with the Cypress Bowl ski area on top. 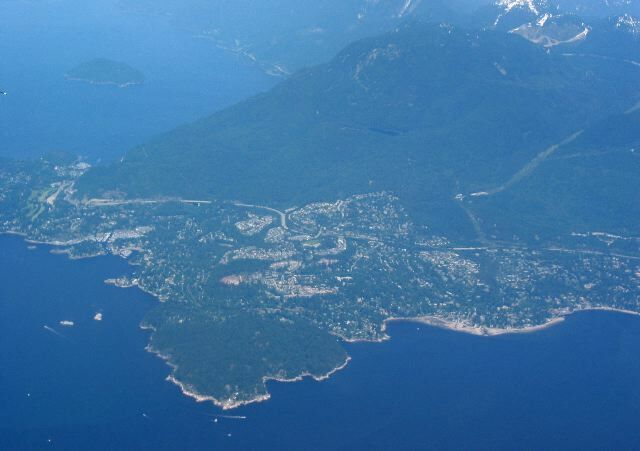 Horseshoe Bay and Howe Sound are upper left.